Disney has presented the new streaming service Disney Plus, competitor of Netflix, Amazon Prime and others. And, surprise, the 20th Century Fox products are included. The Simpsons is one of those products, the brilliant and long-lived creature by Matt Groening. The video describe the atmosphere of the series former 20th Century Fox against the new owner. 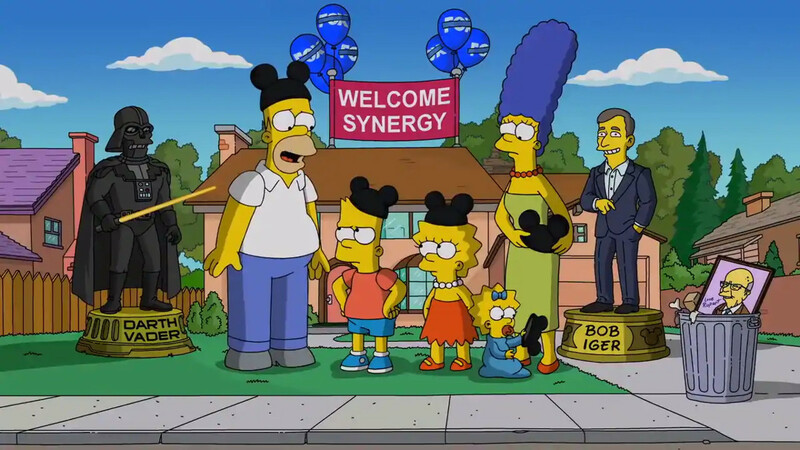 We find the whole family behind the statues of Darth Vader and the CEO of The Walt Disney Company, Bob Iber, with the photo of Rupert Murdoch in a garbage bucket and a surprise in the end. A greeting to the new property that anticipates the contents of the new service, a topic that will surely be resumed in the new Simpsons seasons. We'll see.